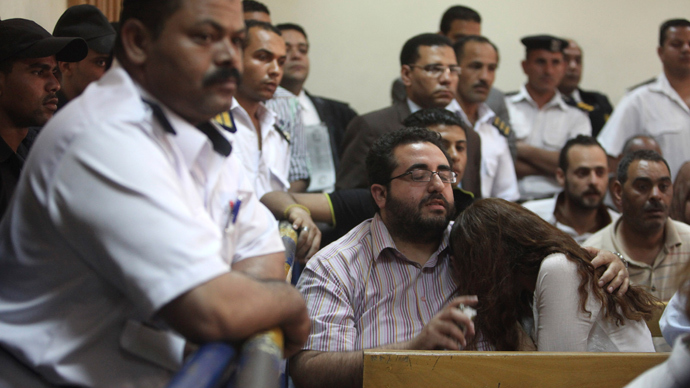 Cairo criminal court has convicted 43 NGO workers, including at least 16 Americans, for illegally operating in Egypt. It also ordered the closure of offices and the seizure of assets belonging to US NGOs. The court sentenced Egyptian and foreign defendants, most of whom were not present at the hearing, to jail terms of one to five years. Twenty-seven defendants received five years in prison, another five - two years and 11 were given one-year terms. Judge Makram Awad gave five-year sentences in absentia to at least 15 US citizens who were not in the country. Many of the foreigners - nationals of the US, five Serbs, two Germans and three non-Egyptian Arab nationals - have already left the country. Among the Americans is Sam LaHood, the head of the Egypt office of the Washington-based International Republican Institute and the son of the US Transportation Secretary. He managed to leave the country after a travel ban against them was lifted in March 2012. All of them were initially barred from leaving Egypt. The defendants say they will appeal against the sentences, according to AFP. Besides the jail terms, the court ordered the closure of the non-governmental organizations, including the US-based International Republican Institute (IRI), chaired by Republican senator John McCain, and the National Democratic Institute (NDI), Freedom House and Germany's Konrad Adenauer Foundation. However, the NGOs deny the charges. They insist the Egyptian government knew about their activities throughout the country. 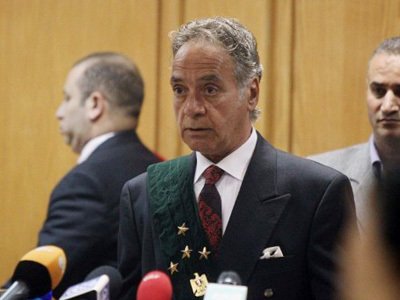 For instance, NDI claims that it was given formal permission to conduct monitoring for the country's first democratic elections that followed the ouster of Hosni Mubarak. The NGO scandal, which has already soured relations between Egypt and the US, dates back to December 2011. At that time police conducted armed raids on 17 NGO offices across Cairo, detaining employees and seizing equipment. The Egyptian military government accused 43 employees of non-profit groups of illegally using foreign funds to instigate unrest in the country. The US characterized the raids as "inconsistent with the bilateral cooperation”. Tuesday’s verdict has already been predicted to worsen already strained relations between former allies. For more than three decades the two states cooperated with the Egyptian military receiving more than $1bn (£650m) in aid annually. In addition to the $1.3bn in US military aid, Egypt also receives about $250m in economic aid every year. 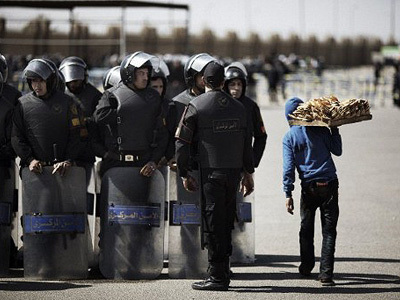 The US, which backed the Egyptian regime change during the Arab Spring, has slammed the sentences handed to the NGO workers. Secretary of State, John Kerry, called the rulings by the Cairo court a "politically-motivated" trial. "This decision runs contrary to the universal principle of freedom of association and is incompatible with the transition to democracy," Kerry is cited as saying by AFP. The Secretary of State added that the closure of the offices of the non-governmental organizations "contradicts the government of Egypt's commitments to support the role of civil society as a fundamental actor in a democracy." Germany has responded to the verdict saying it was "outraged and highly disturbed". Foreign Minister Guido Westerwelle said that Germany would support the defendants in their efforts to have the court's decision reversed. Meanwhile, Egypt’s Parliamentarians are debating a new bill, which Human Rights Watch and 40 Egyptian rights groups fear will restrict the funding and activities of NGOs in the country. Proposed by Islamist President Mohammed Morsi, the bill is aimed at committing NGOs to the principles of transparency and striking a balance with "the openness of Egypt", Morsi said earlier. Once signed into law, it would allow the state to control NGOs' activities as well as their domestic and international funding. Last week the New York-based Human Rights Watch and 40 Egyptian rights groups expressed concerns that a draft law would undermine liberties in the country. Under Mubarak, local and foreign NGOs were not allowed to align themselves with political parties, involvement in politics was tightly restricted.